The Salts Development Plan produced by Seaford Town Council was recently presented to Council for adoption as a policy document. The projects within the development plan, prioritise proposed improvements to children’s play space, tennis courts, Skate Park and all other facilities at The Salts. 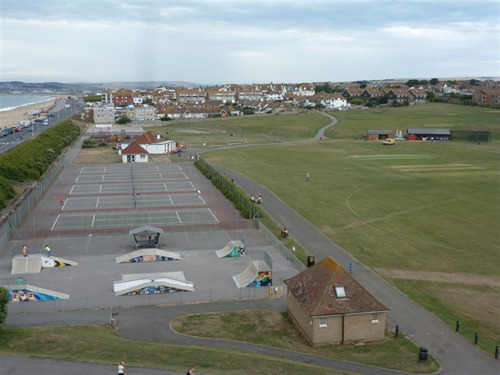 In addition Seaford Town Council will work in partnership with sports clubs and voluntary organisations to improve quality in all areas of the park. The development plan sets out to improve the areas that the community appreciate the most about The Salts, as well as introducing new ideas and restoring the park as a place to be proud of. The proposed projects will also ensure in future, that The Salts will reach modern standards for design, safety, access and inclusion. Members positively welcomed the plan which was officially adopted, enabling the next stages of the scheme to be developed. Highest priority is the Children’s Play space whereby local residents and families will soon be invited to select their favourite design from a selection of manufacturers who are experienced in producing a play space of such a high profile. Seaford Town Council has limited funds available at this stage for the projects, but will apply for outside grants as well as seeking the maximum amount of planning gain funds held by LDC for Seaford. Other elements include a variety of landscaping projects such as a footpath/cycle path around the outside of the main fields as well as picnic areas and viewing areas for events and other entertainment such as outdoor movies.